In some instances, a person who isn’t the parent of a child could be awarded temporary or permanent guardianship. Guardianship ensures legal custody of the child and it suspends the parental rights. 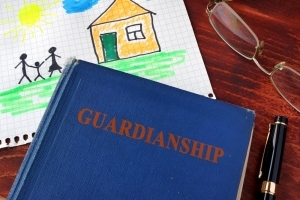 A legal guardianship can be undone only when a parent petitions the court. The court will determine whether the termination of the guardianship is in the best interest of the child and only then will the parental rights be restored. Anyone who is worried about the health and safety of a child they love could consider taking over control from the parents. Parents are considered the natural guardians of a child. In some situations, however, it would be much better for a minor to be placed with somebody else. When domestic violence or abuse is established, for example, a person who isn’t the parent could attempt getting guardianship of a minor. Legal guardians will take over the day-to-day decision making under a court order. This means that the person can request medical treatment on behalf of the child, enroll the child in school or classes and provide for the basic needs of the child. Most often, guardianship is temporary. Once an issue is addressed, a parent could petition the court to have their parental rights restored. 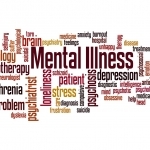 There is one special provision, however, known as permanent guardianship. In this case, the guardian will be granted legal custody permanently and the guardianship cannot be terminated. According to A.R.S. 8-871, permanent guardianship in Arizona may be established when such an arrangement is in the child’s best interest. The procedure itself is outlined in A.R.S. 8-872. Before permanent guardianship can be awarded, an officer will be appointed by court to investigate the factors presented to support the guardianship claim. The fitness of the eventual legal guardian will also be examined. A guardian can be nominated either through a will or through the respective individual’s court petition. There is a specific set of forms and documents that a potential legal guardian will have to file. If you’re interested in this procedure, you should definitely talk to a family law attorney. The professional will be familiar with the intricacies of applying for legal guardianship. They will prepare your petition adequately, increasing the likelihood of successful process completion. Keep in mind that a guardian is different from a conservator. A conservator is an individual or an entity responsible for the management of the financial affairs of a minor. The conservator, however, does not get legal custody of the child. Typically, close relatives or close family friends could apply to be legal guardians (aunts, uncles, godparent, grandparent, etc.). Individuals who oppose the potential guardianship, however, could file an objection. Typically, such objections are filed by parents or current legal guardians who will be affected negatively by the new arrangement. The objection, however, should be supported by valid arguments and evidence. If the legal guardianship goes through regardless of the objection, the parent will have to petition the court to rescind the legal guardianship. Other parties who believe that the guardianship is not in the best interest of the child could approach the court to have the arrangement terminated. Guardians in Arizona have various responsibilities that are clearly defined. The guardian is responsible for caring for a child, making sure their needs are met and managing funds like child support from the parents, public benefits or money in a trust account. Guardians have to make an annual report in which they’re describing the status of the guardianship, where the child lives, what their healthcare status is, education and reasons why the guardianship should or shouldn’t continue. A guardianship may last until a minor reaches adulthood, until a parent validly objects to the guardianship arrangement or until the death of the ward. Click here for information on adopting a child in Arizona. Who Makes a Good Witness in a Custody Dispute? What is Supervised Parental Visitation in Arizona?